The Berufliche Oberschule Bad Toelz is a type of Vocational Upper Secondary School run and financed by the Bavarian government and the administrative district of Bad Toelz-Wolfratshausen. Currently, about 700 young adult students with different educational backgrounds are enrolled in order to gain their qualifications for university of applied sciences or university. 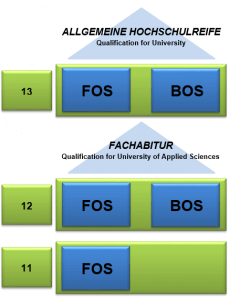 Our institution features two schools, the Fachoberschule (FOS) and the Berufsoberschule (BOS). Students need good performances in their Mittlere Reife-diploma, which you usually gain after positively graduating from 10th grade of secondary school. School usually takes between two and three years. As a unique feature of this type of school the curriculum of grade 11 includes theoretical and practical education. Students do internships in one of our partner companies or institutions at regular intervals. After successfully passing the final exams in grade 12, students receive the Fachabitur, almost equivalent to the British A-level or the American high-school diploma. 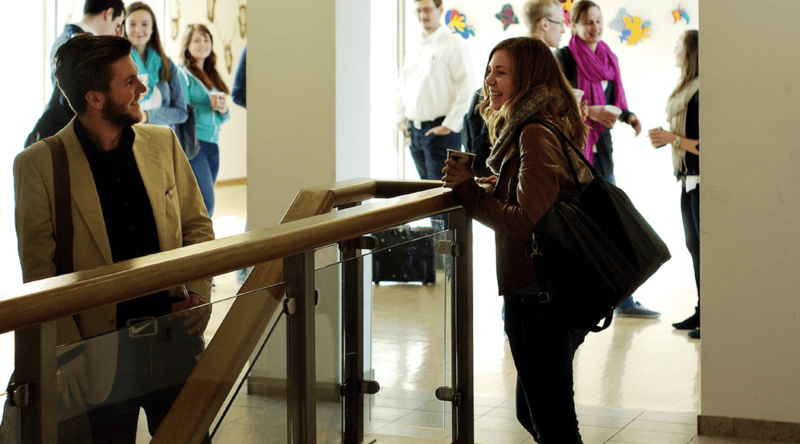 Students with an average of at least 3.0 have the opportunity to attend grade 13 to get the Allgemeine Hochschulreife allowing them to study at all kinds of universities. Besides good grades in their Mittlere Reife-diploma, students must have a completed apprenticeship. School typically takes one or two years. Students also obtain the Fachabitur after passing 12th grade and they may enroll in grade 13 to gain the Allgemeine Hochschulreife.